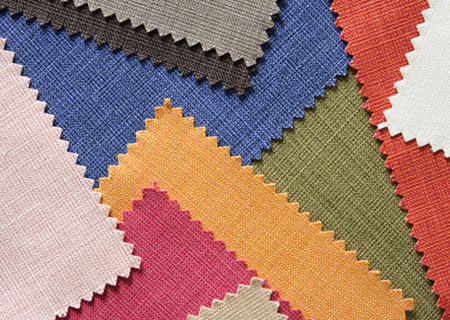 Soft and absorbent, cotton is an indispensable natural material. 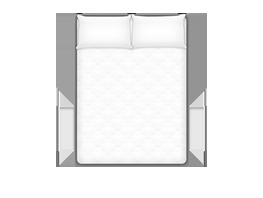 It is used when making the fabric of the mattress and is often combined with linen. 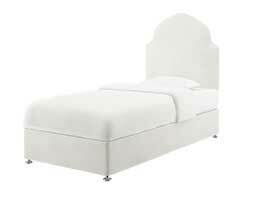 Tufting involves fastening the two ends of the mattress to make it tighter and more durable. Tufting by hand is far better than machine tufted because attention to detail is not ignored. All our products are manufactured in the United Kingdom to ensure product quality and safety. We do not import materials and products from other regions. 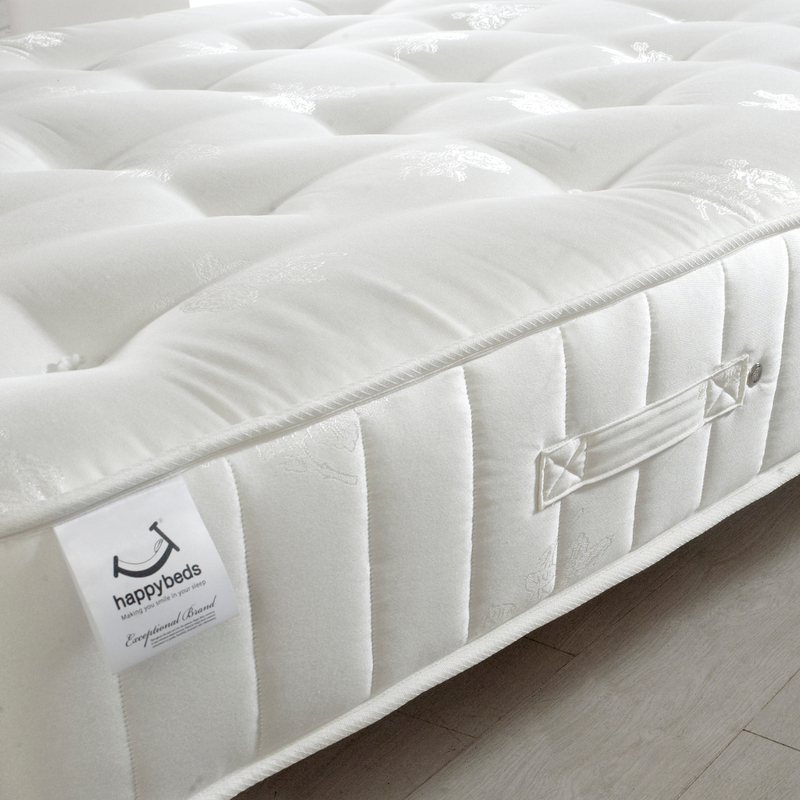 The fillings of the mattress are crafted with nature’s gifts such as Wool, Cashmere, Cotton and Silk. This will make you feel fresh and closer to nature long after you have got off your mattress. 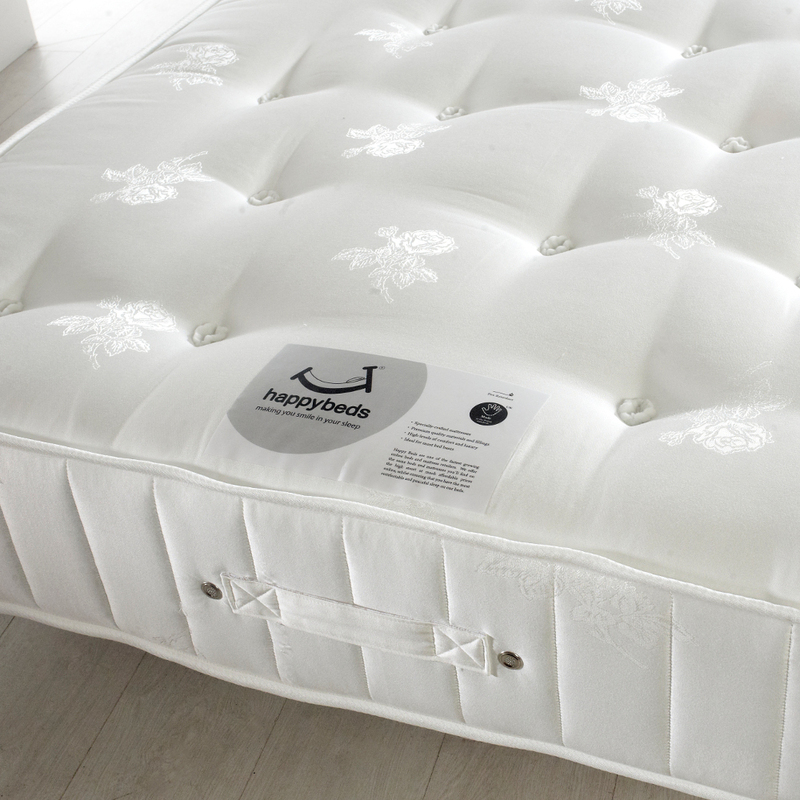 You can enjoy both sides of the mattress because similar springs and fillings are placed on each side. It is highly recommended that this kind of mattress be turned over regularly to prolong its life. Customise your divan size, colour, fabric and headboard. 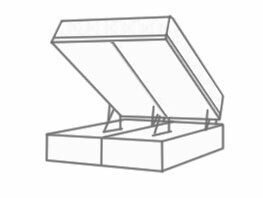 Small Single 2ft 6 76.5 190 Available in 6", 10" or 14"
Single 3ft 91.5 190 Available in 6", 10" or 14"
Small Double 4ft 122 190 Available in 6", 10" or 14"
Double 4ft 6 137 190 Available in 6", 10" or 14"
King Size 5ft 152 200 Available in 6", 10" or 14"
Super Kingsize 6ft 183 200 Available in 6", 10" or 14"
All bed sizes come in depths of 6", 10" and 14". 14" is the standard base depth and will also give you the widest selection and larger storage options. 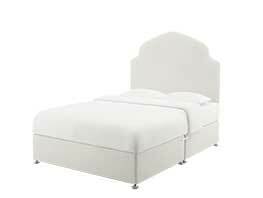 The storage space for the ottoman is the maximum amount of space you can get and covers the entire size of the bed. Ottoman storage is only available on a 14 Inch Base. 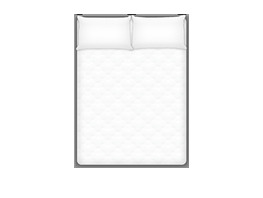 The Signature Crystal 3000 mattress is a dream for those who want - no, need - the best. 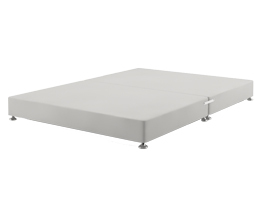 This mattress is the peak of orthopaedic design and comfort, with its breathability, cotton upholstery, layers of natural fillings, and high count of independent pocket springs. 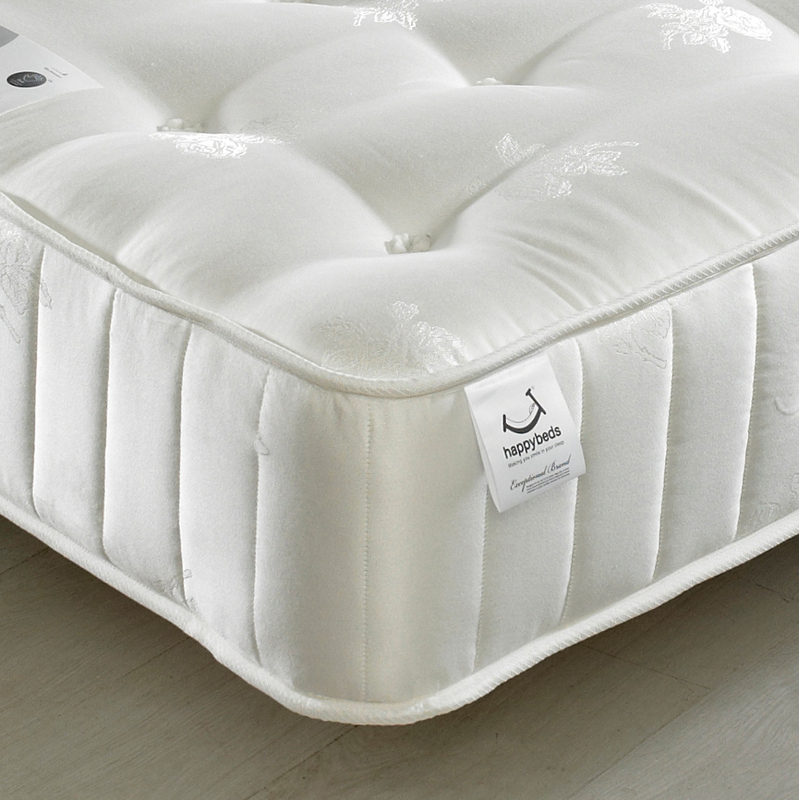 This mattress is designed to chase away your aches and pains. Pocket springs are often used in orthopaedic mattress designs as they provide a wholly supportive system for your body. Each pocket spring reacts on its own to the exerted pressure, ensuring equal weight distribution and relief for your joints. Another perk of pocket springs is that you don’t have to worry about disturbing your sleeping partner (and vice versa) during restless nights, due to the design of the pocket springs and their localised reactions. 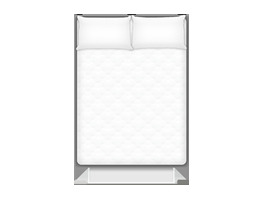 This medium to firm mattress gives its coziness credit to the layers of natural fillings. Lambswool and silk give you maximum comfort as well as being breathable and hypoallergenic! These fillings are covered in our traditionally hand-tufted cotton fabric which is also breathable and hypoallergenic. This makes the Signature Crystal an excellent choice for those with sensitivities and allergies as well as aches and pains. The Signature Crystal has hand stitched side borders for edge support, as well as specially placed air vents for (even more!) breathability. 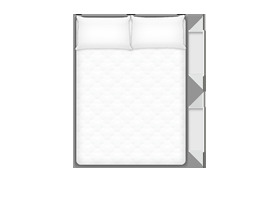 This ensures that the mattress is kept fresh and dry, so you can sleep soundly. For longevity and a more balanced surface, this mattress is recommended to be flipped and rotated regularly to enjoy the comfort of both sides. To help you with this, the Signature has flag stitched side handles for handling and rotation. For your complete comfort and pleasure to the eye, your custom-made bed can be wrapped in a classic cotton-linen fabric or a luxurious faux suede fabric. Cotton-linen is a hardwearing fabric with natural fibres and a non-slip surface that conveys a very homely feeling. Faux suede is a synthetic fabric with a similar look and velvety feel to velour that will add elegance to your bedroom. Space in many bedrooms is a precious commodity. Having storage options built into the base of your bed can provide that extra storage needed for clothes, linen, towels or any other lightweight items you can think of. Donâ€™t overload your mini drawers in excess of 7 kg, and your standard drawers in excess of 15 kg. At least 55 cm of space is needed for each drawer to be fully opened. All drawers measure 53 cm in depth and 22 cm in height. The width varies depending on your choice of mini or standard side drawer, or large end drawer. If you canâ€™t live without your bedside table but need that extra storage, why not choose mini drawers on the sides of your bespoke bed. The mini drawers can hold many items and help keep your bedroom tidy. They still leave enough space for the bedside tables to stand guard within armâ€™s reach. 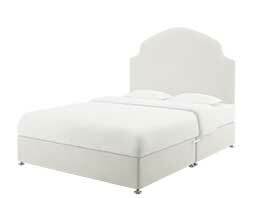 For unparalleled elegance and luxury, pair your bed base with a custom headboard. Whether you prefer simpler or more elaborate shapes, you will find the perfect match. For each shape, go classic with the standard plain headboard or add some extra glamour with the lined or the deep buttoned designs. 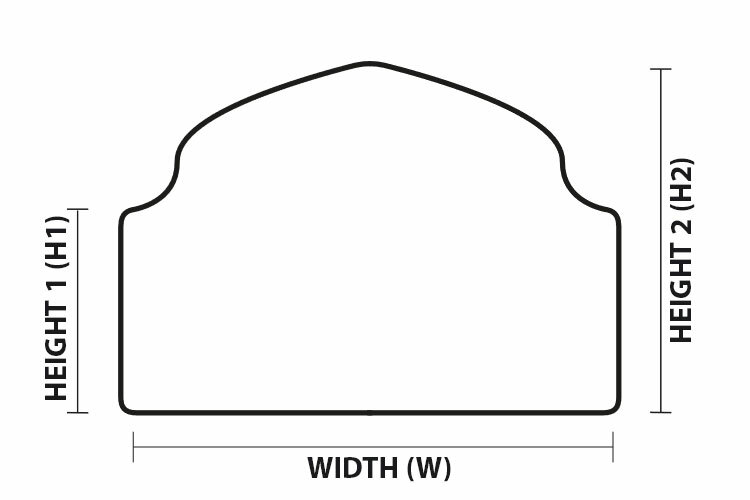 Choosing between the 6 inch (15 cm), 10 inch (25cm) and 14 inch (35 cm) base depths available will give you the option to have a higher or lower bed base. 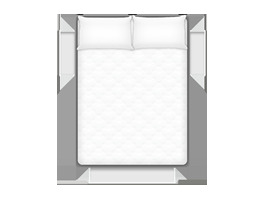 This can be particularly important should you find it difficult to bend down into a low bed or climb on to a high bed. 14 inch is the standard depth. The base depth also has an impact on the available storage options. The 6 inch deep base has no storage options, whereas the 10 inch and the 14 inch offer a variety of drawer sizes and drawer positions to choose from. 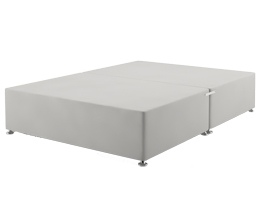 Made of medium-density fibreboard (MDF), the bespoke divan bed base offers a sturdy foundation for your mattress. One advantage of using this type of wood over solid wood is that it doesnâ€™t have the natural knots and hence doesnâ€™t bear a risk of splitting or breaking. 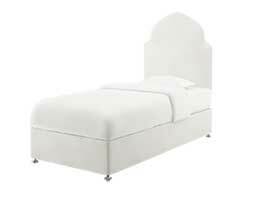 Your bespoke bed is guaranteed to serve you for a long time. 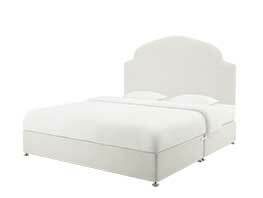 The headboards are also made of MDF for added sturdiness and can be adjusted to suit different mattress depths. 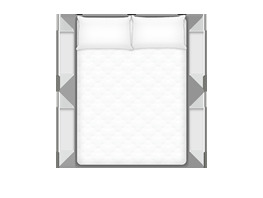 For a complete elegant look, the base is supported by classy chrome glider feet at each corner and in the middle. 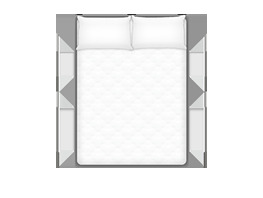 They support the bed perfectly and add glamour to the beautiful fabric and colour you have chosen. After you choose all features that make the bed of your dreams, we will craft your bespoke bed with a lot of love and care right here in the UK. Each custom-made bed goes through a rigorous process of quality checking before it is sent to you and complies with all Furniture Standards of the British Standards Institute, including the Fire Regulation Standards.